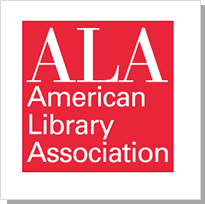 The American Library Association (ALA) is the oldest and largest library association in the world. In 2010, the ALA released the Resources Description and Access (RDA) for the first time to provide libraries with a more effective standard for descriptive cataloging as well as instructions and guidelines for formulating bibliographic data. Over the course of the past few years, the ALA has worked with Dakota Systems to successfully complete several projects in support of a variety of publishing initiatives. The primary goal of the most recent effort was to tie these past projects together within a unique repository to manage the RDA XML content, output transformations, and streamlined workflows. Publishing to web and print. The result is an end-to-end publishing solution using Componize CCMS as its core product to support the publication to multiple outputs for print, e-readers and web. The big wins? Non-technical authors can contribute to the content directly from their web browser and ALA customers can browse the RDA toolkit online. The future holds new challenges and improvement for the RDA toolkit. Going forward, we will seek to improve services and systems used by both subscribers and authoring groups. Dakota Systems has been selected to provide technology services as we make changes to the content management and authoring systems in the coming months. Componize was the perfect tool for our project. Easy to learn and integrate, we also benefited from Componize excellent support. We are glad to be Componize integration partners and anticipate a very successful relationship. The American Library Association, one of the oldest and largest library association in the world asked Dakota Systems to help them for several publishing initiatives. Current translations are available or work in progress to Chinese, French, German and Spanish. Specializing in enterprise publishing and content management solutions, Dakota Systems helps its clients maximize the return on their technology investment. Whether working with technical manuals or scientific journals, Dakota’s proven analysis and development methodologies provide quick and cost effective integration of intelligence and publishing processes. Dakota Systems is a certified Componize system integration partner.